There is no charge for this presentation but you are encouraged to browse and purchase Duncan's excellent books. Please register so that we may gauge numbers. 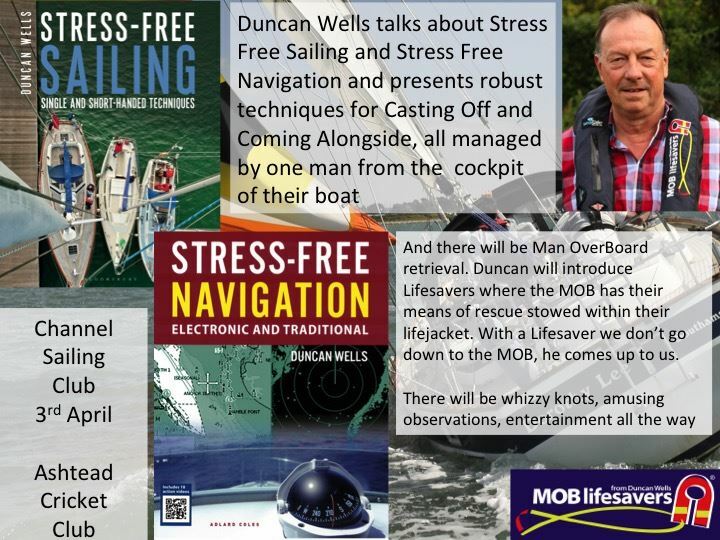 Duncan Wells is coming to Channel Sailing Club to tell us about stress free sailing and navigation. He is a hugely experienced presenter and writes for a number of sailing magazines in addition to being the author of a number of excellent sailing books. Do come along to this premier event at Channel Sailing Club. Bill does not charge for his talk but he does have copies of his books on sale which with your enthusiastic support will more than compensate.